The 2018 FIFA World Cup is nearly upon us. The opening game of the tournament will see two Group A teams clash as hosts Russia take on Saudi Arabia at the Luzhniki Stadium in Moscow on June 14. However, prior to kick off, a grand opening ceremony will take centre stage and it will feature music legends supported by a colossal background cast of dancers, gymnasts, and trampolinists. 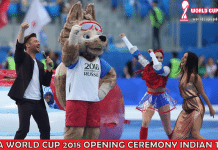 FIFA World Cup 2018 Opening Ceremony Live Stream Online and TV Broadcast: One of the biggest sporting events of the planet kicks off as the FIFA World Cup is set to begin from June 14. The extravaganza commences with the opening ceremony and many major artists will perform. Before the road to the World Cup begins, several cultural acts will be performed. Here you can get all the information as to When and Where you can watch the Opening Ceremony of the FIFA World Cup 2018 live streaming online and where it will be broadcasted on TV. One of the most anticipated and awaited events is set to kick off and the first match of the tourney will be between hosts Russia and Saudi Arabia. You can watch the live stream of the World Cup on Sony LIV and the TV broadcast on the Sony Network. Here all the queries are answered as to when, where and how you can watch the Opening Ceremony of the FIFA World Cup live. British Rock Music star Robbie Williams will headline the opening ceremony along with Russian soprano Aida Garifullina. The duo is followed by legendary Spanish Tenor and Opera Icon Placido Domingo followed up by his fellow opera singer and Peruvian Tenor, Juan Diego Florez. The opening ceremony in previous tournaments usually kicked off an hour earlier to game time but this year, the event has been scheduled to start 30 minutes before kickoff. Two time World Cup Winner, Ronaldo will also be present for the curtain raiser and said, “The opening match is always a very symbolic one – it is that instant when you realize that the big moment you, as a player or fan, have been waiting for four years has finally arrived” On the other hand, there has been no indication about the presence of Nicky Jam, Will Smith and Era Istarefi in the opening ceremony. The trio released the official song of the World Cup ‘Live It Up’ that attracted a mixed and divided response from the fans. When is the FIFA World Cup 2018 Opening Ceremony? The FIFA World Cup Opening ceremony will start on the inaugural day of the prestigious tournament, 14 June. What time will the FIFA World Cup 2018 Opening Ceremony start? The FIFA World Cup 2018 Opening Ceremony will start at 18.309 PM IST (6.30 PM). 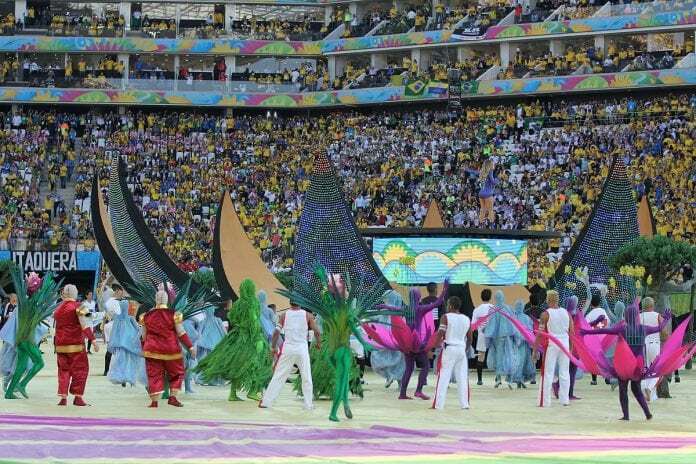 Where is the FIFA World Cup 2018 Opening Ceremony being held? 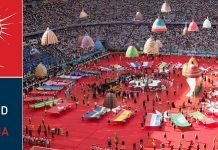 The FIFA World Cup 2018 Opening Ceremony is being held at the Luzhniki Stadium, Moscow, Russia. What time will FIFA World Cup 2018 Opening Ceremony kick off? The FIFA World Cup 2018 Opening Ceremony will start at 20.00 PM IST. The first match of the tournament between Russia and Saudi Arabia will begin at 20.30 PM IST. Where can one watch FIFA World Cup 2018 opening ceremony LIVE on TV? You can watch the FIFA World Cup 2018 Opening Ceremony live on Sony Ten 2, Sony Ten 2 HD. Where can one watch FIFA World Cup 2018 opening ceremony live streaming? You can watch the FIFA World Cup 2018 Opening Ceremony live streaming online on Sony LIV. Who are the big names performing at the FIFA World Cup 2018 opening ceremony? For the opening ceremony, reports suggest that English singer Robbie Williams will perform along with Russian soprano Aida Garifullina. There is yet no indication as to if the official theme song of the World Cup ‘Live It Up’ will be performed by Will Smith, Nicky Jam and Era Istrefi. What are the Group stage schedule and fixtures of the FIFA World Cup 2018?